Jaipur Avenue Chai Tea Mix, Make Chai Tea Lattes at Home! I love what I do and I do what I love. That’s the thought that skipped through my mind as I drank a hot mug of Jaipur Avenue Chai Tea. 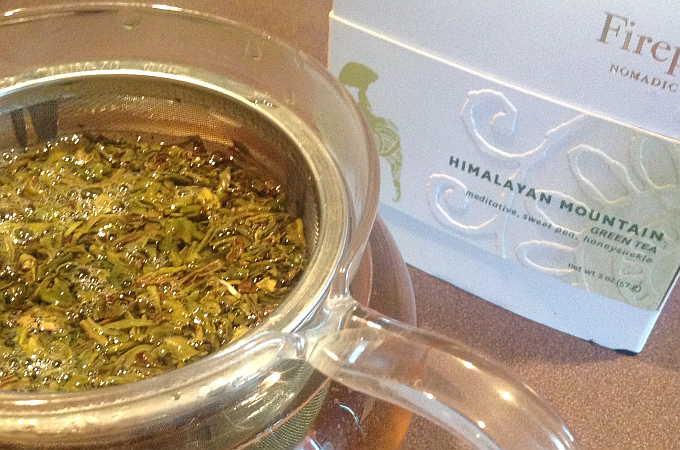 As a tea review blogger, I have the enviable blessing of testing and reviewing tea. Yay me! As a result, I was sent a beautiful set of Chai Tea Mixes from Jaipur Avenue. This was a special thrill for me because I am the biggest fan of Chai Tea Lattes on earth or off. The Starbucks baristas within a three state radius know me, on site, and know to have a grande Chai Tea Latte waiting for me, with a smile. Actually, take that back, I don’t care whether they’re smiling or not. I also really like Panera Bread’s Chai Tea Latte but I have to admit, I tend to get iced green tea when I’m anywhere near Panera. I’ve tried many times to create my own versions of Chai Tea Lattes at home but they somehow always lack that certain special exotic magic. Until now, that is. Jaipur Avenue’s Chai Tea mixes allow you to have Coffeehouse Chai Tea Lattes without stepping foot out of your home. They’re as fast and easy and boiling water (probably because that’s all that’s involved) and taste so exceptional that you’ll lose yourself completely in each sip. I’ve only had the Chai mixes a couple of days, so I’ve only (so far!) tried the Original Masala and the Saffron. I’ll give reviews for the other flavors as I try them… as in tonight and tomorrow. This is what Chai Tea Lattes are supposed to taste like. 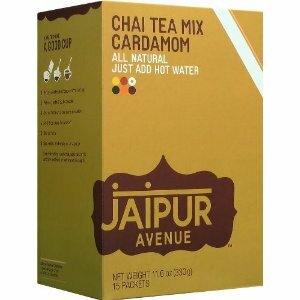 Order Jaipur Avenue Chai Tea Mix Vanilla on Amazon. I’ll be honest, I was a little leery of the word Saffron and wasn’t sure what to expect from this particular Chai Tea Mix. However, the Original Masala blew me away so completely that I was confident enough to try one of its friends. The Saffron Chai Tea Mix has the similar exotic flavor and intense deliciousness of the original. It’s outstanding! 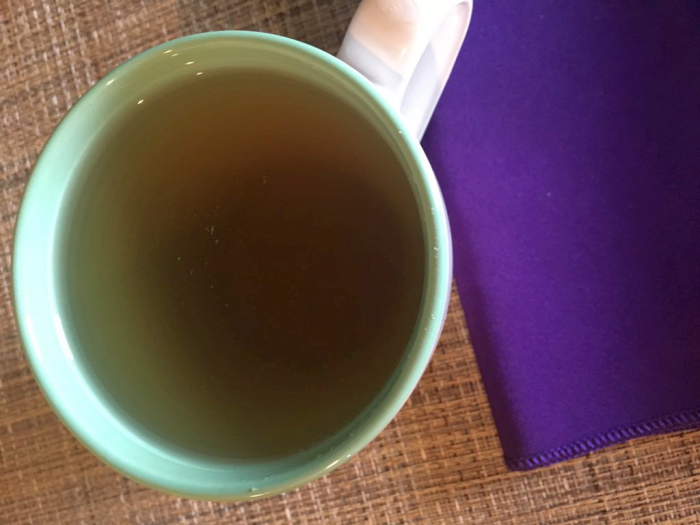 The main difference I noticed was that the Saffron Chai Tea seemed a little bit sweeter and had a distinct extra flavor that my mind processed as “pretty.” Strange description, I know, but truth be told my mind can often be a strange playground. I honestly love the Saffron, almost as much as I do the Original Masala. The Saffron Chai Tea Mix has less of a “Chai” flavor than the original, or than any Chai teas I’ve had. It would be ideal for anyone who isn’t into Chai (you know who you are, Emily). 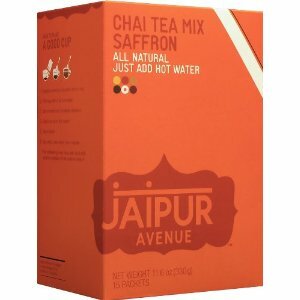 Buy Jaipur Avenue Chai Tea Mix Saffron on Amazon. Since ancient times, chai has been a daily tradition shared with friends and family all over India. Served any time of the day, this freshly brewed blend of black tea, milk, and exotic spices is the perfect beverage to soothe your soul and refresh your mind. 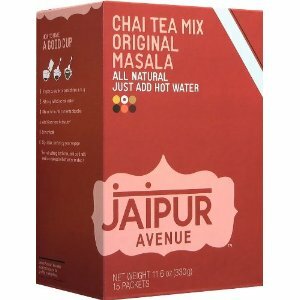 Whether you like, love, or (currently) loathe chai tea, I strongly urge you to try Jaipur Avenue’s Chai Tea mixes. This is unlike any Chai Tea Lattes or drinks you’ve had before. You simply pour the mix into your mug, add boiling water, stir, and escape. There’s absolutely no need for sweeteners of any kind, milk, creamer, or anything else. Fact is, adding anything to this remarkable tea mix would be just plain wrong. Click through any of the links in this post or either of the images below to learn more. Order Jaipur Avenue Chai Tea Mix Saffron on Amazon. Be sure to watch for my reviews of the other flavors: Vanilla, Cardamom, and Ginger. Vanilla’s next up. In fact, I find that I’m not doing anything at the moment…. EDIT: Emily (Little Miss “I don’t like Chai Tea“) tried some of the Saffron Chai Tea from Jaipur Avenue yesterday and LOVED it. She’s coming around and I knew Jaipur Avenue would be the one to make her see the light. Ahhhh, yes. 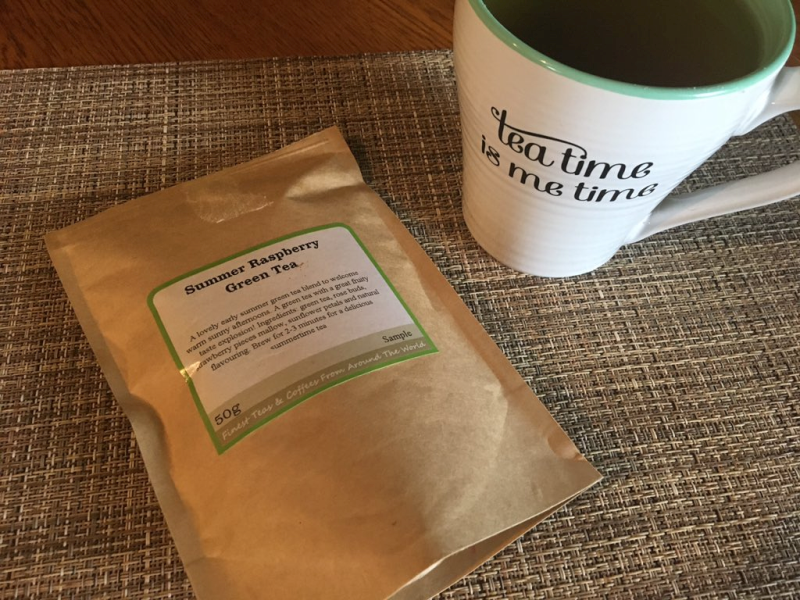 Another article singing the praises of sweet, sweet green tea. The article below talks about the polyphenols in green tea vitamin supplements helping women improve bone health and lower stress. While this currently isn’t a problem for me (I’m 26 going on 15), I look forward to green tea making me a very happy person for years to come. Read on! 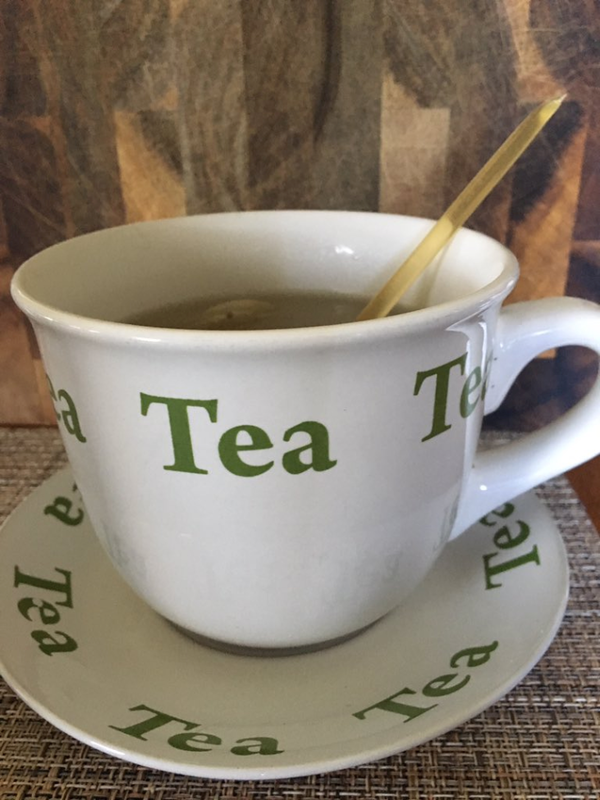 Plenty of Americans drink green tea for its taste and mild caffeine content, but a new study has found that a substance found in the beverage – as well as in some dietary supplements – may help women stay healthy after menopause. Called polyphenols, this class of compounds was found to reduce inflammation and improve bone health, in a study led by researchers at the Laura W. Bush Institute for Women’s Health at the Texas Tech University. 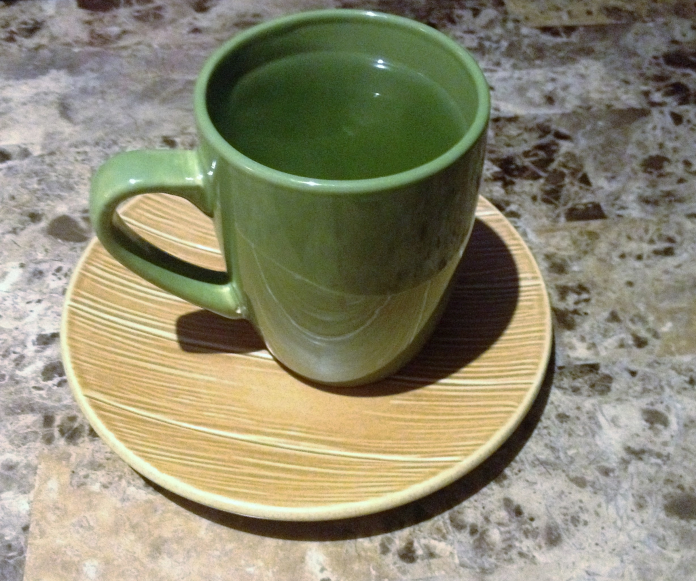 Scientists did not ask participants to drink green tea, however. Instead, the study’s 171 postmenopausal women were given daily vitamin supplements containing 500 milligrams of the substance. This amount is the equivalent of four to five cups of unsweetened green tea. The research team found that after six months on such a regimen, participants displayed better bone health and fewer bloodborne markers of oxidative stress. Polyphenols are known to act as an antioxidant, preventing highly charged ions called free radicals for damaging cell parts and fast-tracking both inflammation and the aging process. Besides improving cellular and bone health, herbal supplements that contain green tea extract may improve mood and overall well-being. Find your inner Zen. 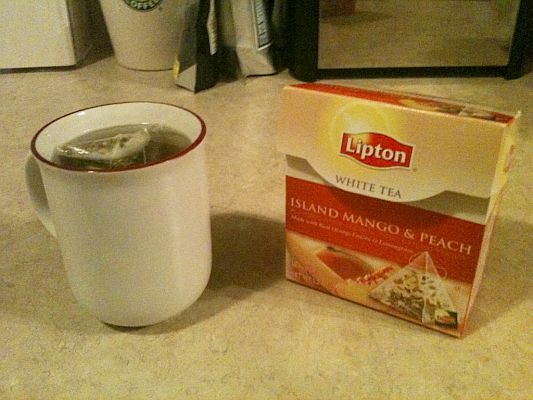 Or fake it with this tea. I’m gonna be honest with you: even tea-loving happy crazy chicks get down. Today was one of those days….I was stressed, tense as could be, had a bad headache, and was down in the freaking dumps. A couple of things had depressed me and I was rocking some major sleep debt. 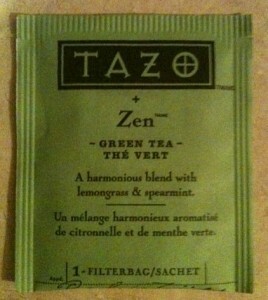 Fast-forward to this evening, and s’all good, thanks to a big ole steaming mug of Tazo’s Zen Green Tea. 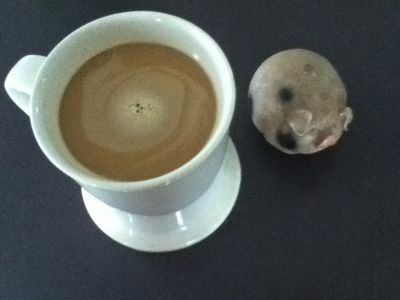 Okay, and some retail therapy, but MOSTLY due to my cup of deliciousness. I’m a sucker for the taste of mint, especially in chocolate or tea, and this green tea doesn’t let me down. There’s something very relaxing about the smell, not to mention the taste. Spearmint leaves, one of the main ingredients, are well-known for curing headaches, possibly relieving pain, and acting in an anti-inflammatory manner. So now here I sit, once-again in a chipper, laughing (slightly annoying?) mood, at peace with all and sending many happy thoughts to the good people at Tazo.